To be competitive, today's supply chain organizations must create cost-reduction initiatives. 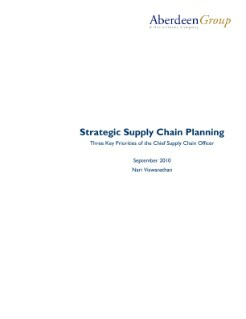 This report provides an in-depth review of best practices in supply chain planning and provides processes, methodologies and action items used by best-in-class organizations to drive their success. Read this to benchmark your practices.